While fans were excited for the return of their favorite adventuring archeologist in Indiana Jones and the Kingdom of the Crystal Skull, many fans were left disappointed. It just seemed to be missing much of the same magic that the best entries in the franchise had. There was also somebody missing from the film that we would have loved to have seen, however, John Rhys-Davies decided not to appear in the film, because there wasn’t really anything for him to do. I was asked to be in the last one, but they wanted me to do a bit of green-screen - walk in, sit down and clap - and they were going to cut that into the wedding scene at the end. I turned it down because it seemed to me that that would be a bit of a betrayal of the audience's expectations. Sallah is a popular character - there's a greatness of soul about him that we all love and admire. While everybody enjoys a fun cameo from a great actor or character, and seeing Sallah at the wedding would have made us smile, we also must admit that it would have been a waste. We do love Sallah, and if he had made an appearance in Indiana Jones and the Kingdom of the Crystal Skull we would have wanted to see more of him. As the film saw the return of Karen Allen in her role as Marion Ravenwood, it would have been stellar to see the three heroes from Raiders of the Lost Ark together again. Anything less feels cheap. This is the guy who gave us one of the best lines in franchise history after all. At the same time, it looks like Sallah dodged a bullet there. 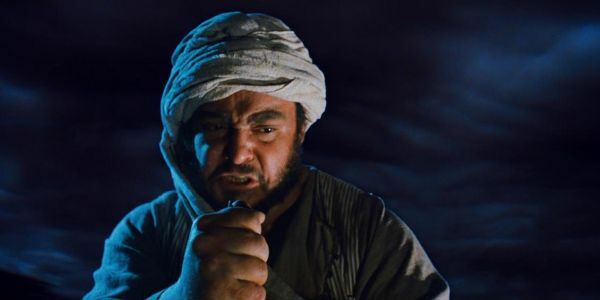 John Rhys-Davies points out that Sallah has appeared in the two unquestionably great Indiana Jones movies, making him look like something of a good luck charm for the franchise. This streak would have ended if he had agreed to show up in the fourth movie. He says that if the often rumored Indiana Jones 5 happens, he would love to be a part of it, assuming they give him something to do beyond sit and clap. Whether John Rhys-Davies is just able to tell a good Indiana Jones movie from a bad one, or whether he is what makes them good, we hope to see Sallah again for Indy 5. The odd numbered ones are always good, right?